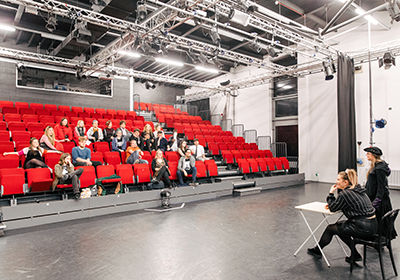 BA (Hons) Acting is a performance programme taught by leading theatre and performing arts professionals, training you in key acting styles and contexts. You will produce and perform in shows with established scripts and create original works, while also developing highly relevant professional contacts that set you up for demanding, diverse and flexible careers in the professional theatre and drama industry. What separates the Theatre degree at Chichester from other courses is how practical and ‘hands on’ it is. I’m always working on creative projects and developing skills. I’m taught by people who already work in the industry and that helps me think professionally about my work and my future. BA (Hons) Acting is a practical performance-based programme, running in parallel to the established and successful BA (Hons) Theatre. You will become a member of a shared creative community, where cultural identity, experimentation and research are central to the process of making live and recorded theatre. 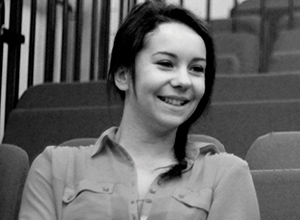 The programme recognises the importance of craft and technique, but also of critical thinking, in relation to the performer at the heart of the creative process of theatre. 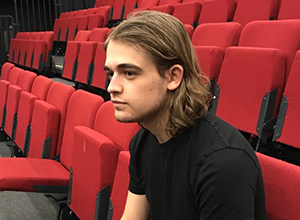 You will work with established text and develop understanding of key acting styles and contexts; you will also work to produce and perform in original work and develop highly relevant professional contacts that set you up for demanding, diverse and flexible careers in the professional theatre. Across all three years, students are engaged in a developed vocational programme, designed to develop significant skills, ideas and experiences relevant to creative performance careers. You engage in a rigorous programme of skills and technique, developing a strong sense of your instrument in relation to your own identity; classes in movement, dance and voice are complimented by textual and contextual acting workshops; you start to develop a robust critical understanding of cultural and critical studies that assist you in four main performance projects: narrative, physical and visual theatre, text and cultural identity. You continue on a rigorous skills programme, which, in the second year, is focused on two major performance projects – one in each semester. The first involves writing and developing text for performance; the second involves classical performance for a contemporary audience. Students can select options in complimentary practices: clowning, script writing, body-based performance, site-based performance and theatre-in-education. Critical and cultural studies continue in romanticism and post-modernism. A programme of skills development continues and concludes with processes of documentation and representation, ready for the professional world. You take part in a range of exciting performance events: a solo performance; a small-cast devised play and a major external performance of text. You will engage in a programme of professional development, which runs alongside a structured showcase of your work and allows your final studies to merge into a professional career. Have a look at Lone Twin who are a performance duo, who make lovely simple work about travel, places and meeting people: their work can be very interactive and immersive and can crop up in some really strange non-theatre spaces. There is a really good book about their work edited by David Williams and Carl Lavery called 'Good Luck Everybody', published by the Centre for Performance Research.